When it comes to talking about binge drinking there is a lot of confusion as to what actually constitutes binge drinking and the effects it has on an individual's health, both physical and mental. Although, binge drinking is not officially classed as alcoholism. It can be just as harmful to your health and presents other dangers such as an increased risk of accidents, violence and risky sexual behavior. Many believe binge drinking to be something only alcoholics engage in but this is just not the case. Most of us will, at some stage in our lives, engage in binge drinking. Going by the above definition, it is safe to say that a large proportion of teenagers are regularly engaging in binge drinking and all the dangers associated with such an activity. There is also a definite causal relationship between teenage binge drinking and teen alcoholism. Fortunately, however, most young people go through a phase of binge drinking, learn from their mistakes and come out the other side. Yet a sizable minority do not. For more on a definition of binge drinking, read What is binge drinking? 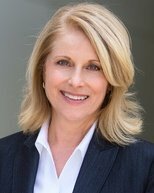 In 1999, a study found that 44% of American college students (51% male, 40% female) had been binge drinking (more than 5 drinks in one sitting) during the previous two weeks. In 2008 the U.S Surgeon General estimated that around 5,000 Americans aged under 21 die each year from alcohol-related injuries involving underage drinking. The population of people who binge drink mainly comprises young adults aged 18 to 29. In the U.K. in 2003, the cost of binge drinking was estimated as 20 billion pounds sterling a year. In January 2005, it was said that one million admissions to UK emergency department units in hospitals each year are alcohol-related. The figures do not make for pretty reading. So what exactly are the dangers of binge drinking?? short term health issues (hangovers, stomach problems etc.). the breaking of drinking and driving laws. The effects of binge drinking can be as devastating as alcoholism. Read alcohol abuse effects and binge drinking facts for more on the damage binge drinking can do. Binge drinking over many years presents the same problems as does chronic alcoholism. So what can be done to stop binge drinking? 1. Just stop drinking. Easier said then done and a very difficult thing to do. However, there is alcoholism medication available that can make it easier. 2. Individual Therapy. This is good if you want to stop drinking and explore further as to why you binge drink. Many people find such information valuable and helpful. 3. Group Therapy. As above but instead of a one-to-one with a therapist/counselor. It is a group with one or two counselors. Some people prefer this option because they feel less pressure in a group situation. 4. The Sinclair Method. Statistically far more effective than AA, yet little known of outside Finland. Utilizing the anti-craving medication, Naltrexone, this treatment is said to have a 75% success rate. Read The Sinclair Method to learn more. 5. Treatment Center. Residential, intensive treatment. Not a place for those who want to cut down on their drinking. Going to a Treatment center usually involves a 4 week stay, therapy (one-to-one and group), self-reflection, and a LOT of heartache. The most effective way to stop drinking but also expensive and time consuming. 6. 12 Step Meetings. Alcoholics Anonymous meetings are gatherings of those who want to stop drinking therefore it is not a place for those who want to control their drinking. However, if you do want to give up alcohol altogether then it is a place to find empathy and support. There is no counseling or therapy. It is a place to express your feelings among sympathetic people. 7. Alternative Treatment Options. 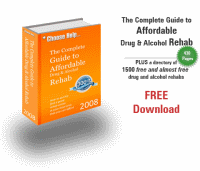 There are many ways and methods that have been devised to help people get off alcohol. 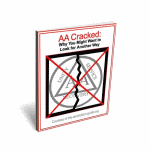 AA Alternatives lists and discusses the options we believe to be the most effective. Do you want help with moderating your drinking? Are you worried that if you continue the way you are you might become dependent on alcohol? Have you been told that Alcoholics Anonymous is the answer? WRONG! AA is for alcoholics, not problem drinkers. "Stop Drinking Alcohol" is an e-book that gives problem drinkers the tools to either return to normal drinking (staying within moderate drinking guidelines) or stop altogether WITHOUT the need for the 12 steps. I highly recommend it as a viable alternative for binge drinkers wishing to cut down on their alcohol consumption.